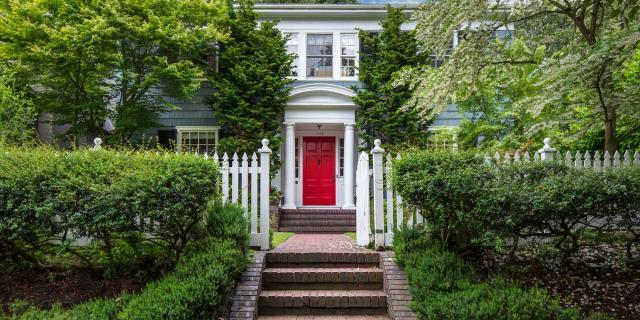 Classic 1912 Colonial Revival on highly sought street. Shingled exterior walls, shuttered windows and columned entry. French doors in center hall open to living room with wainscot walls, hardwood floors and adjacent sunroom; dining room with butlers pantry; gorgeous kitchen with marble counters and top-notch appliances; adjoining family room and informal eating area with fireplace; lower level with rec room and great potential for more finished space; big brick terrace with outdoor fireplace.